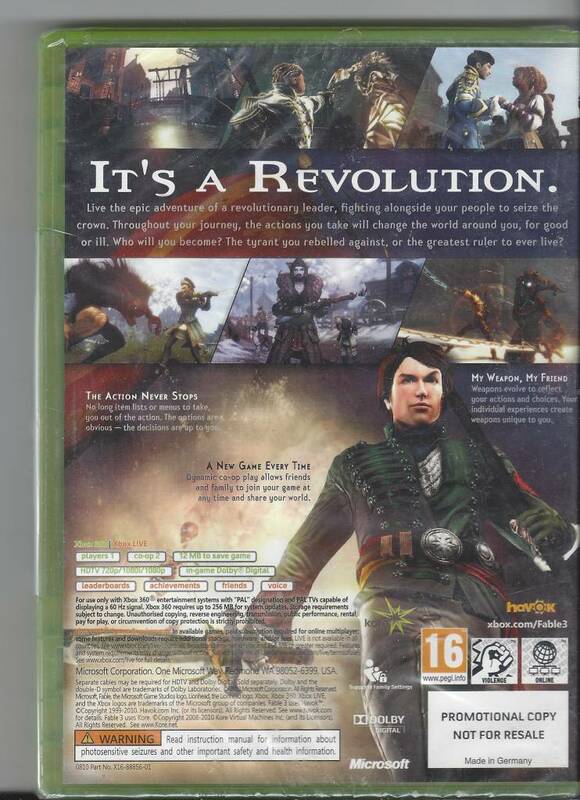 Fable III NEW IN SEAL for Xbox 360. Worldwide shipping. 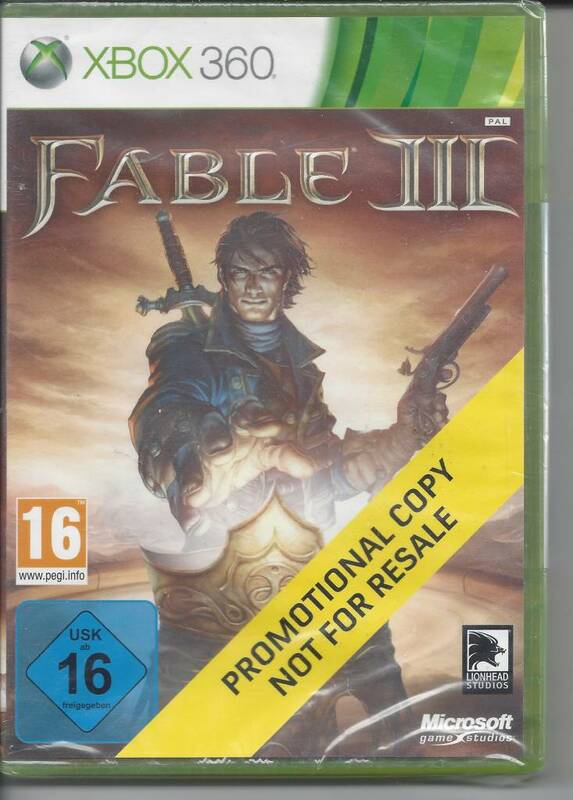 Fable III NEW IN SEAL (promo game) for Xbox 360. Game and manual are in English. PAL game. This game can be shipped to all EU countries.